Ffynnon Ddwrdan lies on open farmland, a couple of hundred yards to the north of the important sixteenth century house Bodwrdda. It. Is surrounded on three sides by a barbed wire fence to keep the sheep out, while on the fourth side is the river Daron into which it drains. A pool of water which is probably partly artificial in origin, but no masonry is visible. This description still holds good today. The pool covers quite a large area, some 3 yards square. 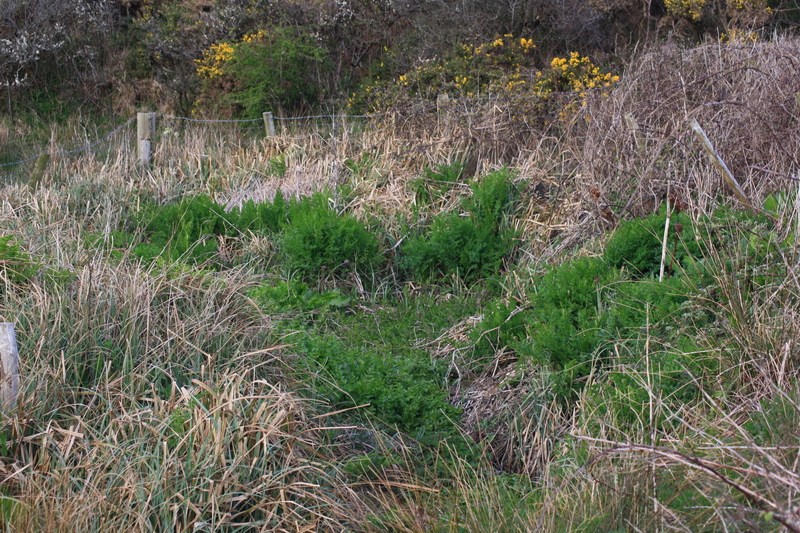 It is very overgrown with weed so it was difficult to determine how much of this area is actually covered by water. 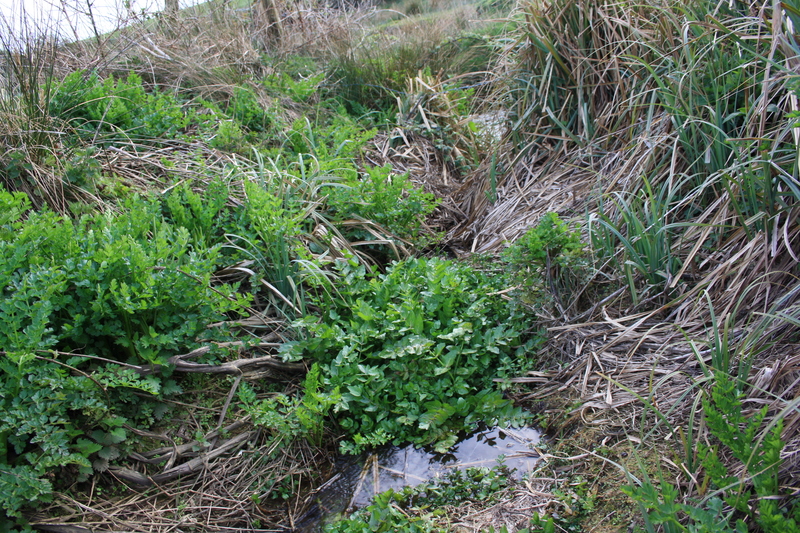 However the spring was flowing strongly, draining along a channel of maybe three or four yards into the river. Went up the river that flows through the valley of Bodwrdda (Bodwrda – good man’s house), perhaps it should be Bodurdan as the well of Durdan isn’t far. However nothing appears to be recorded in relation to any virtues of the well or of any tradition that might surrounding it. There is conjecture concerning its naming and any possible dedication too. It might reasonably be assumed that there is a link between the names of the house Bodwrdda and well Dwrdan. Although the author of the quotation provided above chose to translate “Bodwrdda” as “the house of the good man” he also gave the alternative of “the house of Durden”, linking the house and well. This linkage was generally assumed throughout the nineteenth century, for example various comments in issues of Archaeologia Cambrensis published in 1846, 1847 and 1849. 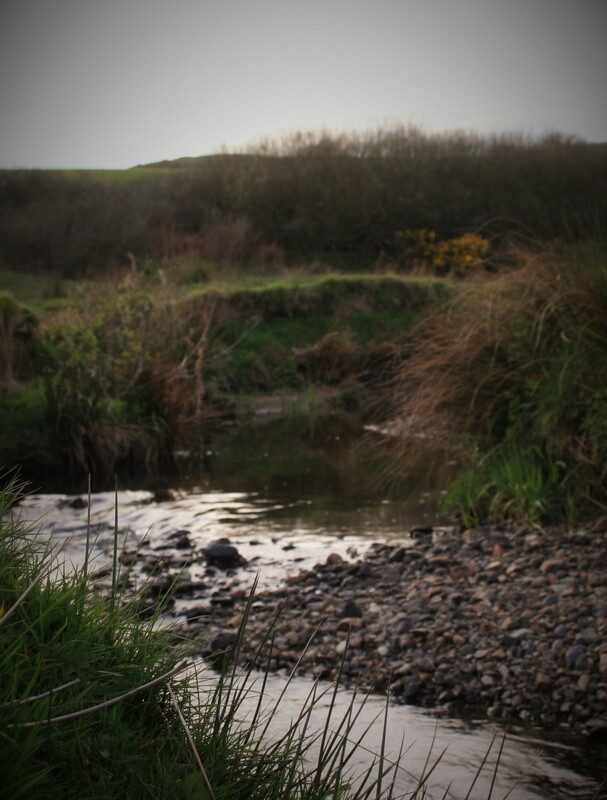 A number of writers have naturally sought to find a connection between the spring and a local saint, particularly since the well is so close to Bardsey Island and the pilgrimage trail. Jones’s Holy Wells of Wales includes the spring in his list of wells dedicated to saints. Baring-Gould and Fisher mention the spring in their entry on St Dirdan or Durdan He appears to be an Italian who rather than being part of the families of Welsh saints himself, has married into a saintly dynasty, his wife being St Banhadlen, sister of St Non. Their main source placing Durdan in the area appears to be by Rees (1853) who identifies him as one of the companions so St Cadfan, supposed founder of the monastic settlement on Bardsey. Baring-Gould and Fisher note however that this connection is not made in most other sources. They do note that his name appears in a list of a hundred Welsh saints in an ode to Henry VII. 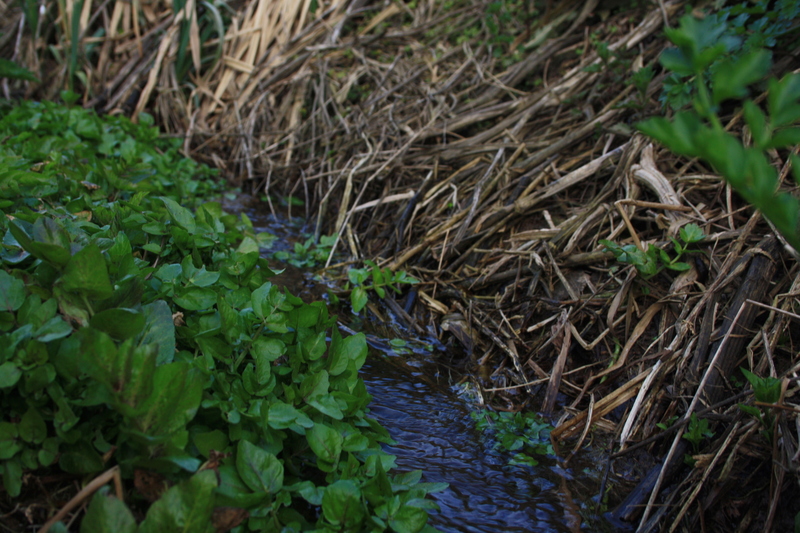 The spring lies on farmland with no public footpath for access and was visited with permission.